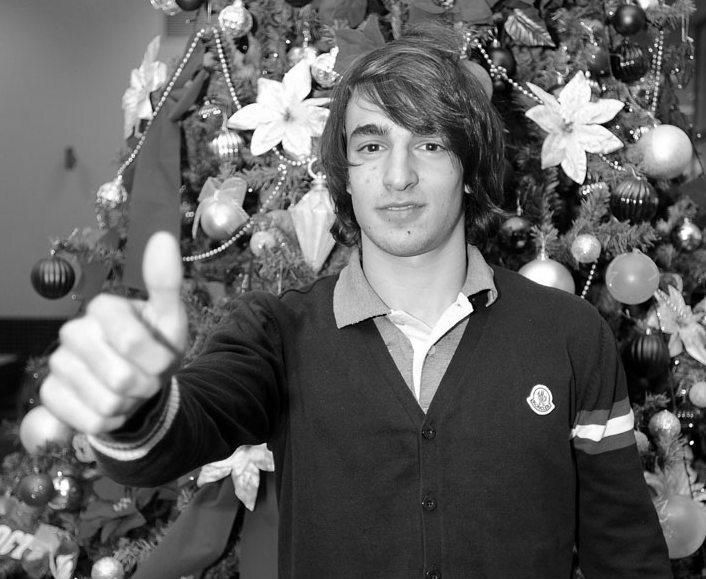 Lazar Marković is, to say the very least, a wanted man. On the 26th November 2011 Partizan played Red Star in the Eternal Derby, one of the most combustable matches in European Football. Partizan won 2-0 but the point of note for us here is that in the VIP box that night, there were a reported twenty plus scouts there to watch our man Marković. From the moment he made his debut on the final day of the 2010/11 season there has been a buzz around him and from what we’ve seen so far, that interest has a serious talent at its core. Marković is a versatile modern forward, sometimes played wide but most effective in our opinion as a second striker through the middle. The first thing that hits you when watching him is the pace, he has that two-second burst that can carry him away from even the quickest defenders in what feels like the blink of an eye. Married to the acceleration is the close control and willingness to take men on one, two, three or even four at a time. The rambunctiousness of youth is coupled with the talent to pull it off, a combination that is always likely to make you stand out from the crowd. And standing out is what he does. In his first full season he nailed down a starting place in no time at all, scored 6 times in the league and made 32 appearances in all competitions, won the club’s player of the year trophy and another award for being the best young player in the league, made the divisional team of the year having helped Partizan to the title, and last but by no means least made his debut for Serbia’s full international side. Not a bad first season all in and we may as well qualify it this early in his report, there’s the list of reasons why he has to be awarded the top mark. Having come so far in his first year he has now also started this season brightly and is at the time of writing one goal away from beating his 2011/12 tally already. To top 2012 off nicely he’s also just scored his first international goal in a November friendly against Chile, a quite amazing year. If you’re still skeptical about the A grade read that list again and ask yourself this, just what else could he have realistically done? Lazar Marković’s 2012? He came, he saw, he conquered. So you can see why the scouts are so prominent at Partizan games. His style of play is so at tune with the modern game most of Europe’s leading lights are also seeing a player who can fit right in to their system. At under six-foot but tenacious and far tougher than first impressions would suggest (an attribute gifted to him by making his debut in a league that takes no prisoners we would humbly suggest) he is a young player who is ready now. Sign him as one for the future yes, but also as someone who can contribute right from the off. So if what he describes as his Chelsea ‘dream’ has to wait, where next? Well another clue may come from the fact that in and amongst blowing kisses to Stamford Bridge, he has also stated a love of the Premier League and English football in general. Liverpool retain a long term interest, Manchesters United and City have both had scouts watch him play more than once, but it’s Arsenal who have been most forthright with their advances. Pitching in with the love-in from the beginning and taking the un-Arsenal-like route of stating their interest publically and apparently preparing a January move, Arsene Wenger himself has even been moved to openly declare himself a fan. You could see Marković fitting in at the Emirates quite easily as a part of that ever-mobile front unit. He has as the speed of thought to just about keep up with his feet and an eye for a clinical pass, if not quite the talent yet to pull it off nine times out of ten. Arsenal would be a good fit, but the player had his heart set on Chelsea – would he move to London to play for another club? We’re not sure. No matter, if English football isn’t to be blessed with his talents then he can pick from Sevilla, Fiorentina, Roma, Shaktar (who have already had a bid turned down), Barcelona or a whole host of other European clubs. The one who may be at the head of that queue is Inter Milan as the player caught Andrea Stramaccioni’s attention early in his career and impressed in the two club’s Europa League clash this season. They are also said to be prepared to move in January and pay big money to secure his services, even if it means leaving him at Partizan on loan until the season’s end. An interesting few months is coming for the future career of Lazar Marković and somebody is going to get a really, really good player. With all the hype you’d expect there to be no negatives but we’ve noticed his left foot or more accurately, just quite how prominently right-footed he is. This will need to be worked on and he needs to be a little cuter with his decision making at times, but he is 18 and will learn. Another huge tick is his attitude which has seen everyone who has worked with him both at Partizan and with Serbia’s U17 and U21 international teams effuse about his desire to work, his focus on having a top-line career and his dislike of parties, alcohol and all the other things that can distract a young man. He seems almost too good to be true on paper but we know that never tells the whole story. This is a player fate has already decreed will play at the highest level from a young age and who has apparently dedicated himself to making sure that happens. We’re certain this young man is destined for big things but his next step up to one of Europe’s top divisions is a going to be quite an adjustment. All we can say is, if you get the opportunity, sit back and enjoy, he could just be quite the player.